We are delighted to once again have the support and sponsorship of so many local companies, without whom the awards could not take place. Gatwick Airport is the UK's second largest airport and the most efficient single-runway airport in the world. It serves more than 228 destinations in 74 countries for 45 million passengers a year on short and long-haul point-to-point services. It is also a major economic driver for the South East region, generating around 24,000 on-airport jobs and a further 12,000 jobs through related activities. "Gatwick is delighted to once again be sponsoring these awards and supporting the growth of local business in the region. We contribute £2.3bn to the Gatwick Diamond economy alone and support thousands of jobs in the local community so we look forward to celebrating the winners of these prestigious awards." Thakeham Group is proud to create and enhance communities while ensuring the delivery of aspirational buildings and places where people dream of living. With substantial land holdings secured in highly sought after areas of the Home Counties, the exceptional quality Thakeham Group delivers is now being seen by an even wider audience. Thakeham are excited to partner with Gatwick Diamond at the 2018 Business Awards. In addition, we are thrilled to be sponsoring the award for 'Customer Delight'. At Thakeham, we strive to deliver the best housing across the Gatwick Diamond area - aiming to delight our customers with a superb, quality product that we can be proud of. Our vision is to be the relationship bank of choice for Small and Medium sized Enterprises (SMEs) in the UK. The NatWest Commercial Banking team works with SMEs in a variety of sectors, providing bespoke financial solutions to help them reach their ambitions. We are proud to sponsor the Business of the Year Award. Extech Cloud is an award-winning IT managed service provider who have supported SMEs for over 30 years. We help our customers modernise their workplace through innovative digital transformation solutions, such as Cyber Security and Cloud technology. Our aim is to Humanise IT: delivering IT solutions and service with a personal touch. As is consistent with our values, the Gatwick Diamond Business Awards celebrates people and businesses who have shown innovation, inspiration and commitment in their line of work. Both Extech Cloud and the Gatwick Diamond are prominent institutions in the Gatwick Diamond region, and this partnership is another step for both organisations to demonstrate their commitment to celebrating business excellence. We have been in Crawley for in excess of 40 Years, in the region we have been advising our clients since 1798. Our commitment to the Gatwick Diamond region from our 8 offices and 180 staff fully reflects the importance of the region to our business. 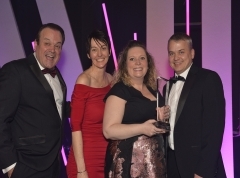 SHW values the work undertaken by Gatwick Diamond, we were ourselves nominated a few years ago and felt the opportunity to get to know a number of dynamic businesses in the region was an opportunity we would have been very foolish to ignore. KPMG is a leading provider of professional services including audit, tax and advisory. Our innovative spirit inspires what we do and how we do it providing valuable benefits for clients, employees and stakeholders. Constantly striving to be better lies at the heart of what makes us different. "KPMG values this fantastic opportunity to recognise business leaders in the Gatwick Diamond business area." DMH Stallard is an award winning law firm with offices in Gatwick and across Sussex, Surrey and London. We pride ourselves on delivering practical, commercial solutions and an exceptional level of client service. We work in partnership with established businesses, ambitious start-ups and individuals. 'DMH Stallard are delighted to be sponsoring the Gatwick Diamond Business Awards 'Customer Delight' category. Customer Delight was the natural category for us to focus on and we believe it is essential in developing great business relationships. In recent years we have grown considerably and this has been achieved through every member of the firm being strongly focussed on delivering exceptional service to our clients. In his Employment practice Tony promotes the importance of long term relationships, the positive impact of great communication, retaining and recruiting excellent people and sharing best practice both inside and outside the firm'. Gatwick Diamond Business looks to be the go-to networking group in the South East. For us, the opportunity to sponsor the Gatwick Diamond Business 2019 Awards was one not to be missed. asb law is an innovative UK law and consultancy firm recognised for its resolve to challenge convention and find better ways of delivering legal services. The firm has transformed its operations from a traditional, service-based model to one that is truly client-centric, delivering services around the current and future needs of its clients. As an innovative, client-centric, UK law and consultancy firm, asb law is very proud to sponsor the Award for Innovation & Technology. 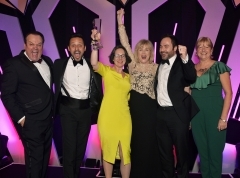 We have some fantastic businesses across the Gatwick Diamond and it's great to see them recognised for their success – many congratulations to all the finalists." Crawley College is passionate about working with businesses in the Gatwick Diamond to support their skills and training needs. We offer a wide range of courses including apprenticeships, professional courses and bespoke provision to meet all your business needs. The College is proud to be supporting the Gatwick Diamond Business Awards for the 11th year. Crawley Borough Council provides a wide range of services to more than 105,000 residents and over 3,400 businesses. We support and promote businesses by organising events and initiatives, while our Economic Development Team aims to maintain sustainable growth, nurture businesses and encourage entrepreneurs in our town – the main economic driver in the region. Councillor Peter Smith, Cabinet member for Planning and Economic Development at Crawley Borough Council, said: "Crawley has a thriving professional services sector. Businesses are continuing to grow and are performing well regionally. "I'm delighted that we're recognising this vital element of the town's economy by supporting this award." Basepoint Business Centres provide high quality managed offices, workshops and studios. With locations across the Gatwick Diamond, we have spaces suitable for almost every business use, on flexible easy in - easy out terms. And if you don't need dedicated workspace, we also provide virtual offices with access to serviced meeting rooms. "Basepoint have entered the Gatwick Diamond Business Awards for a number of years now & are privileged to count ourselves amongst the winners, so partnering with gdb as a sponsor & judge feels like a great way to progress this relationship while supporting the local business community. As providers of office space for start-ups & SMEs, we always excited to see new businesses emerging & love to celebrate success stories so can't wait to meet with all the entrants this year." The Gatwick Diamond Initiative is a business led economic partnership which collaborates with local authority and private sector partners to lobby, influence, inspire and promote the Gatwick Diamond locally, nationally and internationally as the UK's best connected, fastest growing and most dynamic business location. 'The Gatwick Diamond is a highly productive £24bn economic area. The annual Business Awards is an excellent opportunity to celebrate our international trading success with those large and small businesses which excel in their global markets'. Kreston Reeves advise dynamic businesses, not for profit organisations, private individuals and families on all areas of business, tax and wealth helping them make confident decisions about the future. We are dedicated to meeting and exceeding the needs of all our clients wherever their ambition takes them. 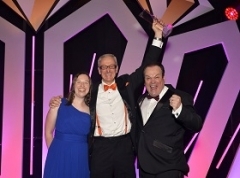 Kreston Reeves Manufacturing Partner Allan Pinner commented: "The Gatwick Diamond Awards provide the opportunity for businesses and professionals to be recognised for their success and hard work whether for growth, innovation or contribution to our community. We are particularly delighted to be sponsoring the Manufacturing Business of the Year 2019." Reigate and Banstead Borough Council is a great location for business; the council is committed to working with businesses large and small to provide them with the best opportunities, which also benefit our residents. We have a range of initiatives to support business and work closely with our partners to encourage a prosperous local economy. Search Consultancy is a leading recruitment agency in Gatwick and we believe we are exceptional in what we do. Our unrivalled expertise and scale - comprising 700+ employees and 15 UK office locations – mean that we can provide a quality service to Sussex based clients and jobseekers alike. The University of Brighton is delighted to sponsor the award for supply chain management, as a leader in both teaching and research in this area. Our MSc in Logistics and Supply Chain Management teaches students to understand the process and systems crucial to the world of business and equips them for careers in areas such as supply chain analysis, logistics, manufacturing and operations planning. Alongside our teaching, our research into supply chain management has generated many business partnerships including a knowledge exchange programme with Littlehampton-based Dando Drilling that analyse and optimise the company's supply chain. We welcome opportunities to work with organisations of all types and sizes in sectors as diverse as creative and digital, healthcare, teaching, environmental, pharmaceutical and biomedical sciences, and engineering. We embrace collaborations with companies and public sector through knowledge exchange, consultancy, commercialisation of research, use of our equipment and facilities, and short courses for workforce development. At the University of Brighton, partnership working is fundamentally important to us. 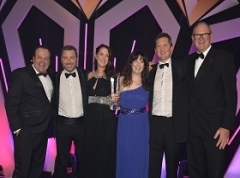 With a long established history of collaborating with companies in the Gatwick Diamond area, the Gatwick Diamond Business Awards provide a wonderful opportunity to recognise business excellence. We are proud to be part of this annual celebration as the Diamond continues to be significantly important to us. The University of Sussex Business School is ranked 50th for Business and Economics in The World University Rankings 2018. We value our connections with business which contribute to excellent employability outcomes with 92% of students in graduate employment. 70% of our research is rated at world leading and internationally excellent. The UK Trade Policy Observatory, based at the School, offers independent advice to the UK Government, industry and the public on trade challenges posed by Brexit. The University of Sussex Business School are proud to sponsor the Responsible Business of the Year Award. We have a long standing commitment to ethics, responsibility and sustainability and are pleased to be able to support business partners with demonstrating these principles within their own contexts. As a School we are signed up to the UN Global Compact, Principles of Responsible Management Education (PRME) incorporating social responsibility and sustainability values in both teaching and research. University of Sussex believes that higher education helps social mobility and that it is important for all young people to have the opportunity to reach their full potential, regardless of their background. Hence, we work with business partners to offer paid internship opportunities through our award winning First Generation Scholar scheme. BGF, the UK and Ireland's most active investor in growing companies, is proud to sponsor the Gatwick Diamond Business Awards. An independent investment company, we provide ambitious entrepreneurs with patient capital to accelerate growth, and relevant, practical and strategic support to help them build the large businesses of tomorrow. We have invested £1.6bn in over 230 companies since 2011, with £240m across 45 companies in London and the South East. Avensys Hire & Events division specialise in consultancy, design and technical production for corporate events and digital media projects. Specialising in av production including conferences, private events, roadshows, awards, exhibitions and more, the team deliver nationwide events to corporate clients, hotels, venues and conference centres. The highly experienced team work with clients to ensure the very best outcome for events. Extensive in-house resources means Avensys deliver creative, relevant events with high production standards, on budget and to schedule. "Avensys is proud to be a GDB member and to be associated with a hugely respected and successful corporate awards programme. The awards bring commercial benefits to its participants, raises awareness of creativity, innovation, and diversity the region offers. As a partner we directly benefit from exposure to a broad range of business opportunities as it attracts the very best from across a wide range industry sectors in the region - it's networking at its best." Built around a historic and charming country house, the Copthorne Hotel Effingham Gatwick is set in 40 acres of picturesque parkland. Ideally situated, just a short distance from Gatwick International Airport, the hotel has a warm welcome and a relaxed atmosphere, and dedicated staff are on hand to provide outstanding service. The Hotel offers every comfort with; 122 luxuriously appointed bedrooms, one restaurant, Lounge Bar, Sports Bar, 9 hole golf course, tennis courts and "Le Club", our health club. We also offer extensive Meetings and Events facilities including 15 individually designed meeting rooms and the Millennium Suite which will accommodate up to 600 people for any event from a Product Launch to a Dinner Dance. Established for over 60 years, Gatwick Diamond Business has been the leading voice for business and commerce in the region. Representing business, we provide a united voice to influence Local and Central Government issues. gdb is run by the members for the members. It is also financially and politically independent. JR Print Proud to be supporting businesses in our region for over 50 years. With a wide range of printed solutions. For us its all about long term relationships and working together to achieve our customers objectives. Platinum Publishing produces the largest circulation business magazines in the UK, reaching circa 720,000 readers across all platforms and is the ONLY way to learn what is going on in the region. Packed with information, news and views, it is not to be missed and we are delighted to be the exclusive media partner for the gdb Awards for the third year. The Gatwick Diamond Business Awards is the premier event in the region, celebrating the very best of the Diamonds dynamic companies. Platinum is delighted to be the exclusive media partner for this prestigious event for the third year running. Good luck to all entrants. Storm12 is the home of attention-grabbing design, web and video. We deliver creative that gets the job done. Why Storm12? It's the most powerful on the Beaufort scale, the most forceful it can be. Like us, it causes disruption except we do it in a good way. Force 12 storms are talked about, they live long in the memory. Our creative does the same. "It's a real privilege to support GDBA 2019 as Creative Partner. We thrive on helping the Awards continue to grab attention, build success and style. It's also great to meet the very best local business from across the South East aiming to take home these prestigious trophies."